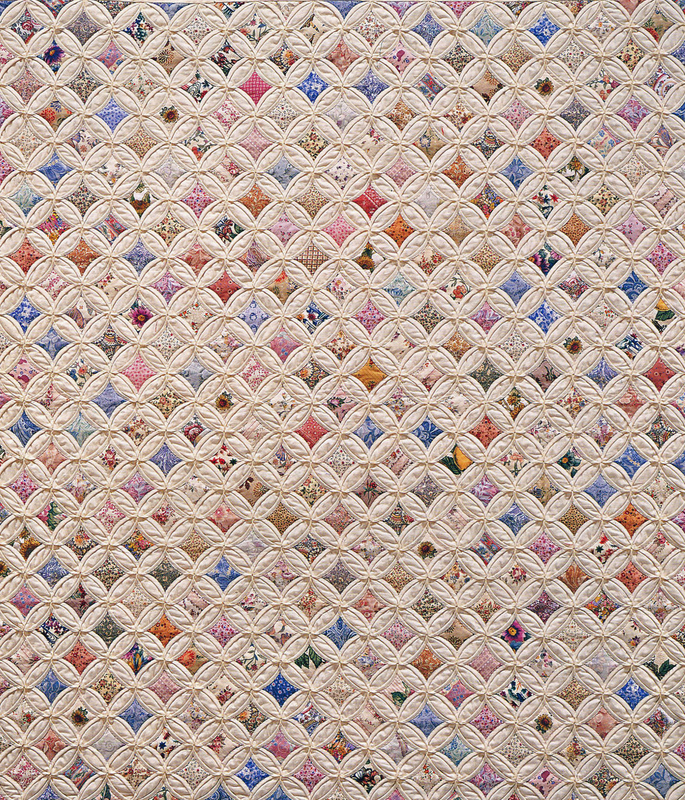 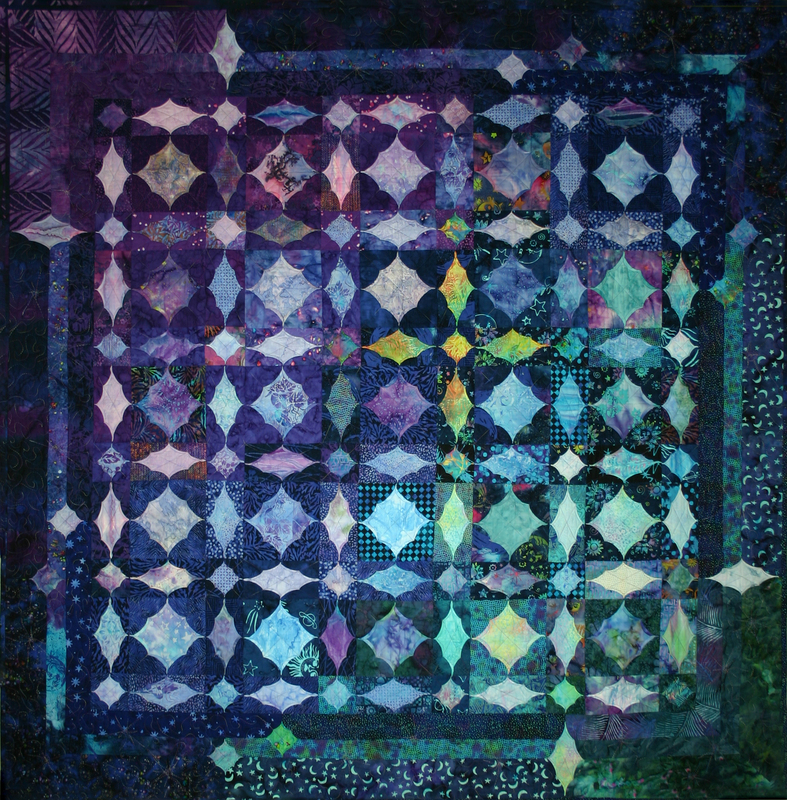 For twenty years Shelley has been creating Cathedral Window Quilts entirely by machine. 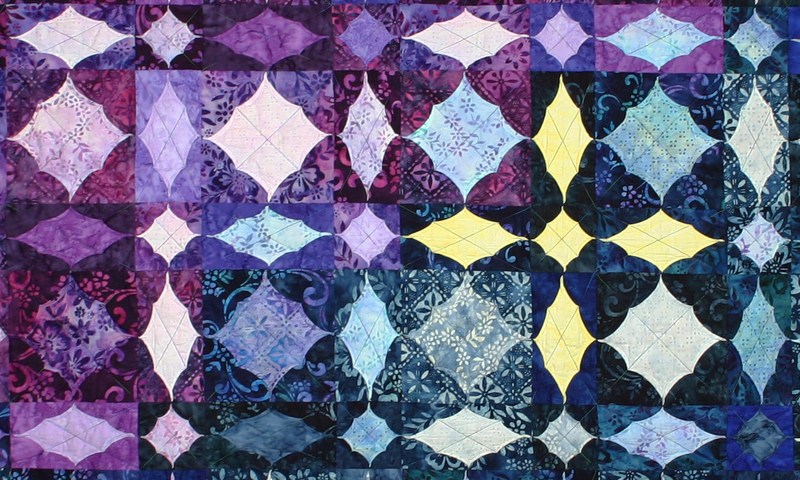 The technique uses three-dimensional piecing to construct the top and during quilting the bias folds are rolled and stitched in place to create a finished quilt. 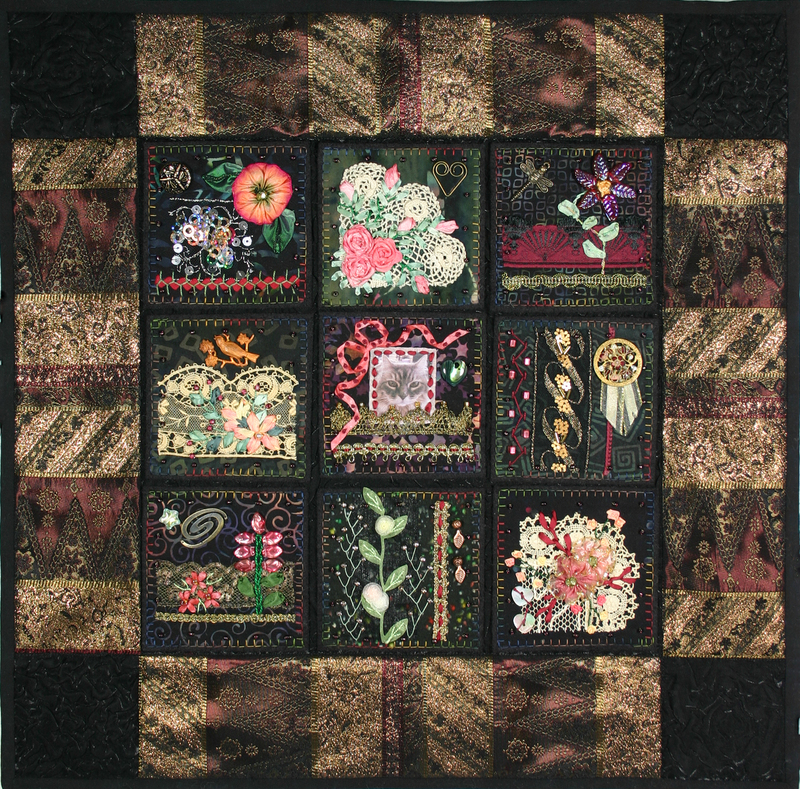 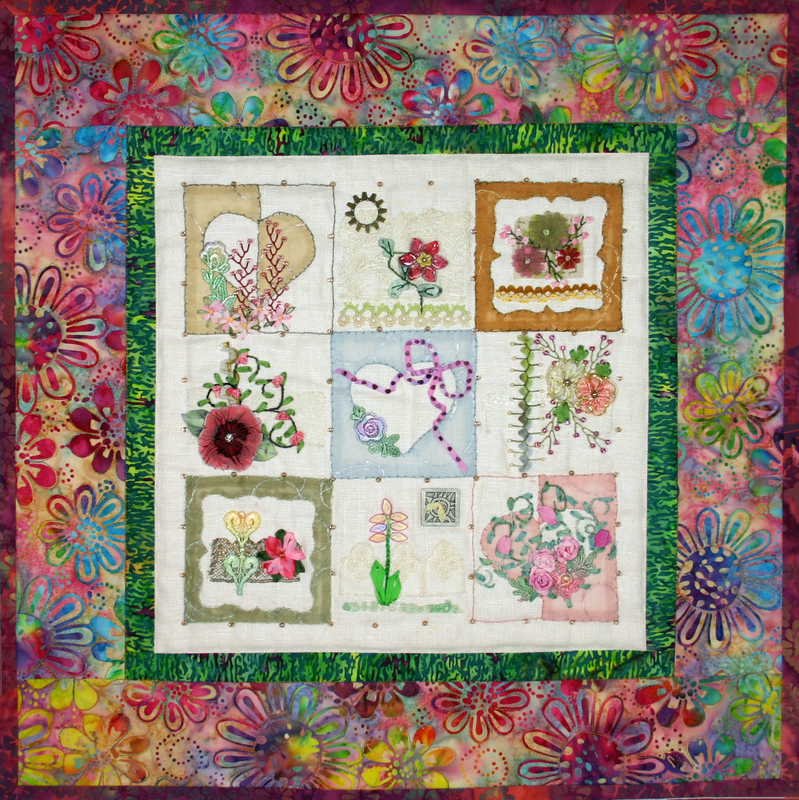 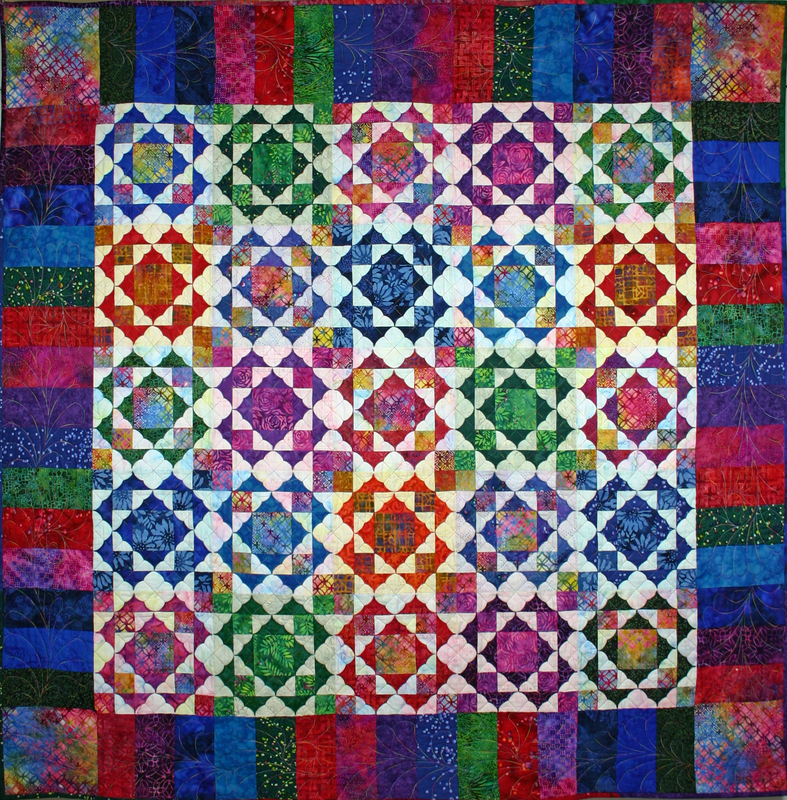 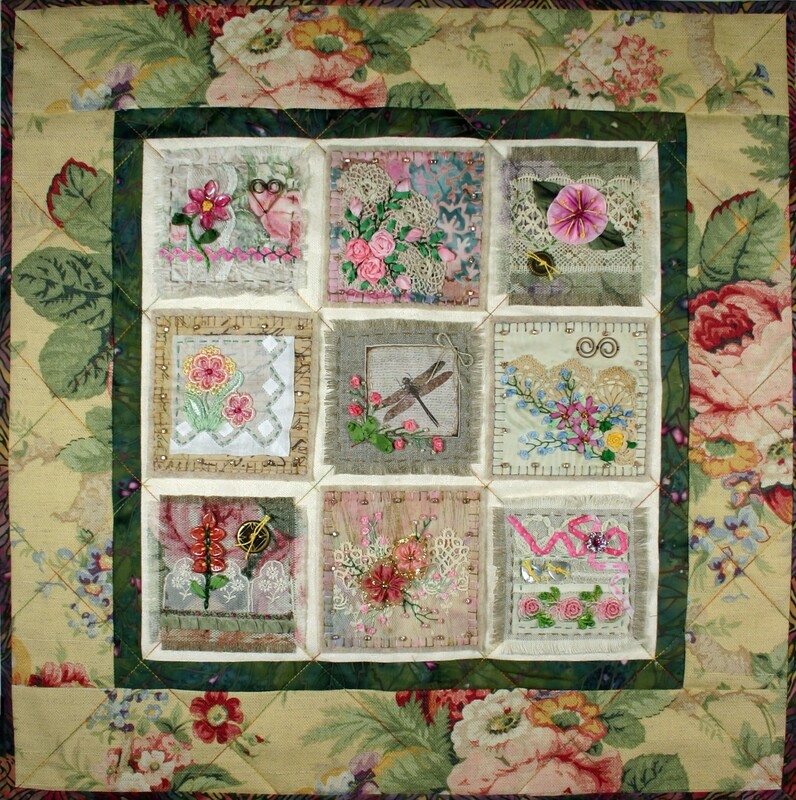 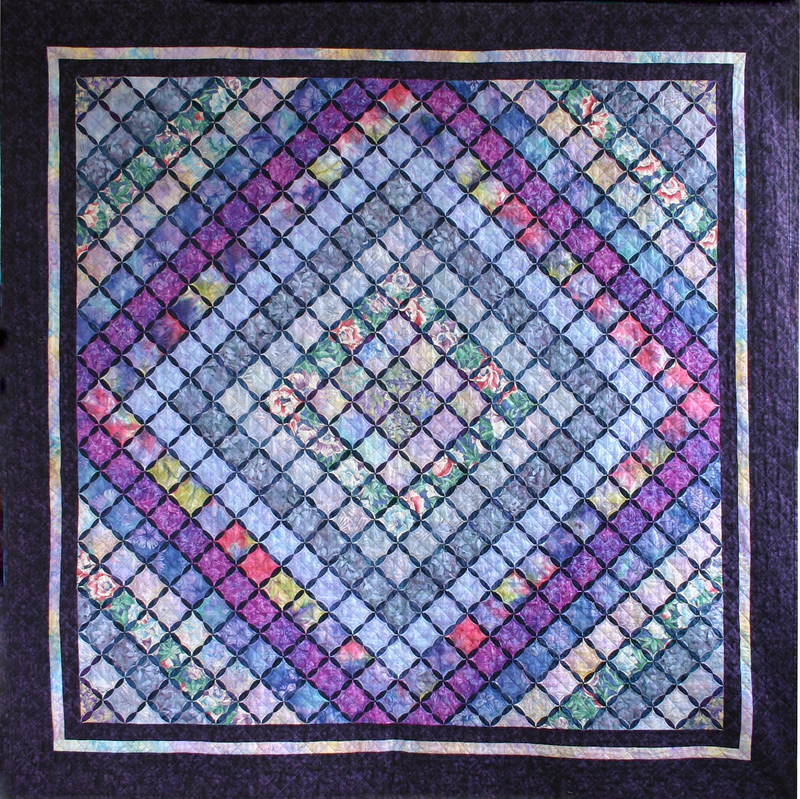 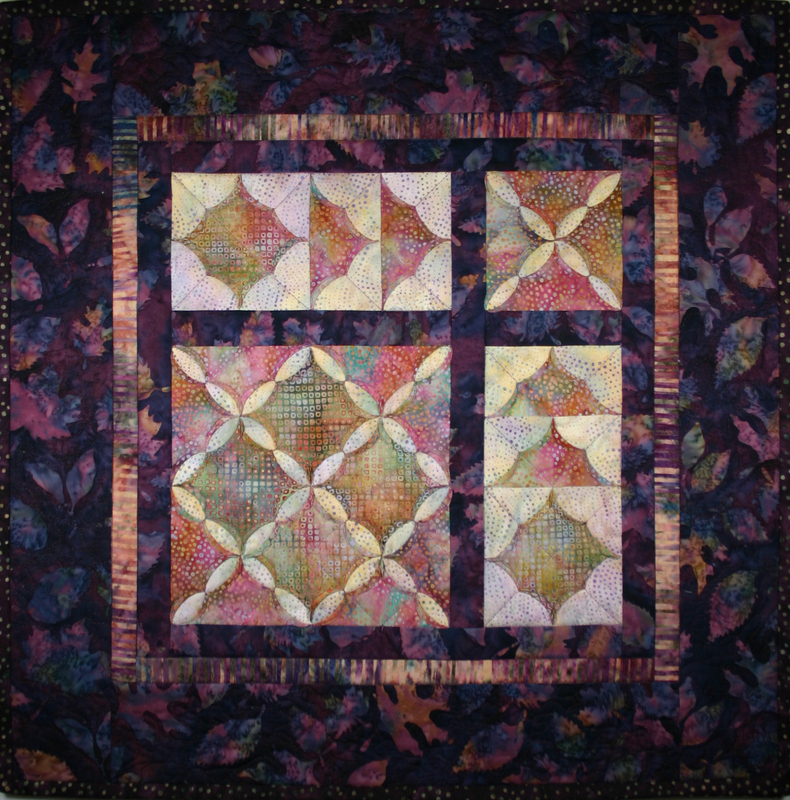 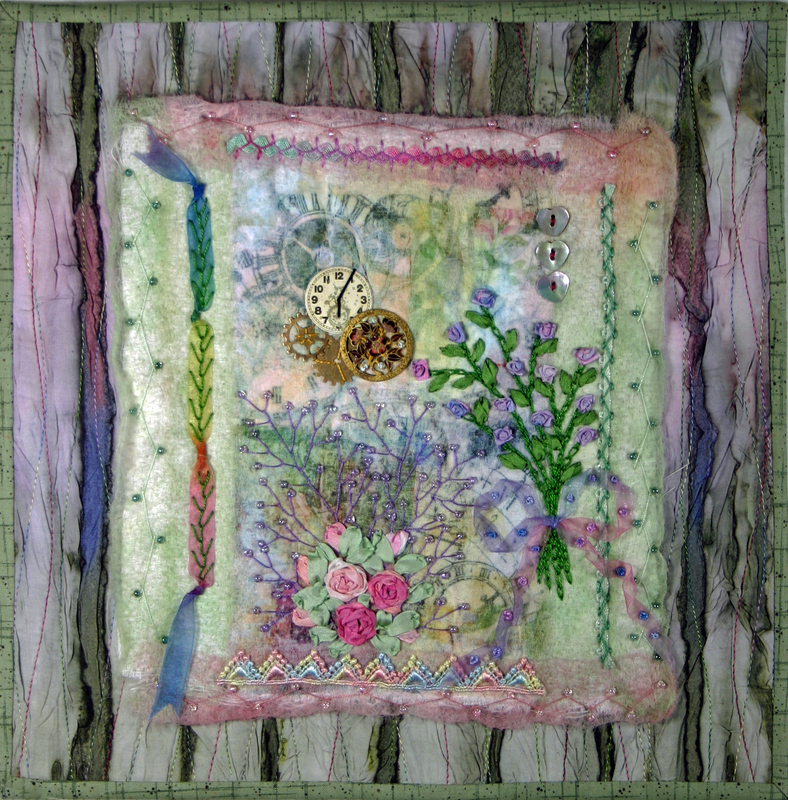 This quilt, “Classic Windows” was created in 1998 as the first quilt in Shelley’s book, “Machine Stitched Cathedral Windows”, published 1999 by Martingale & Co.
Below left to right are: Layers of Lavender, Lost in the Storm and Fractured Rainbow.